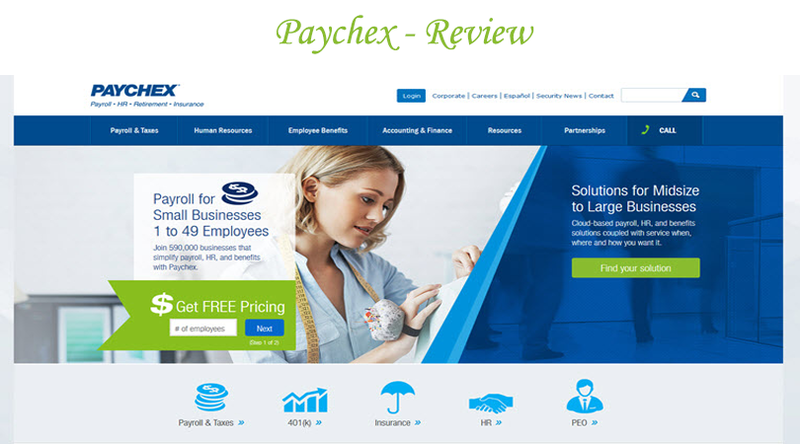 If you have picked Paychex accounting software, a free accounting software, then you are all set to start your work with simplicity. Its process and other features are similar to its competitors. In this software, you can start simply by adding your contact details along with your company and get the direct access to the remaining part of the dashboard. It also comes with few tutorials which can help you out in setting your profile on the interface. Even though these videos are not thorough, they are quite supportive in case you are new to bookkeeping tasks. 1. Talking of accounting software for small businesses, it is quite important to have basic accounting features that are easy to use. In the case of this software, you can create new clients and vendors with simplicity. However, the customization feature of this software isn’t quite up to the mark when compared with other services, but it still provides you various options for adding specific projects. 2. While talking about basic features and functions like the addition of clients and vendors, it is quite easy to do, but it certainly lacks the easiness in following processes. This software allows you to add contact screens with simplicity, yet it lacks customization feature for various clients and vendor information. 3. This software comes with inventory management along with different tracking features which are quite easy to use even when they are no that comprehensive when compares with similar features of other services. 4. In case you have a growing business, this software doesn’t provide certain options, and you get what you signed up for at the first place. It doesn’t have features like credit card processing, online payments, etc. Still, this software is fit as payroll and HR provider, it also comes with payroll features for your employees embedded in the dashboard. 5. If you are facing any problem while using this software, you can reach out to live chat support or through telephone or email support. However, it has quite inactive community user base. When it comes to creation and management of clients or vendors within the dashboard, it is quite easy to use and doesn’t have any problems. It doesn’t allow you to create or send any sort of invoices to your clients. Although this software has a simple interface to do certain basic accounting tasks, it certainly lacks advanced and important features such as creating estimates. Still, this software integrates seamlessly with payroll services. In case you are new to accounting and need a simple interface with some basic features along with strong payroll features, then this software is a perfect fit for you even with its lack of many advanced features. So, try this software and let us know about your experiences with this software by mentioning your views in the comment section below.